What You Should Know About Reforestation in Oregon | Mr. Tree, Inc. In a world where forests are fast disappearing, reforestation proves to be an effective solution to bring us one step closer to protecting and conserving forests around the globe. Reforestation refers to the natural replantation of forest areas that have been damaged or destroyed in the past due to human activity, natural calamity, or sudden climate change. It leads to multiple environmental benefits such as fighting global warming, preserving wildlife habitats, and maintaining the water cycle. A long-standing leader in reforestation, Oregon was the first state to address the issue in 1941. Now with over 10 million acres of Oregon’s forestland owned and managed by private landowners, reforestation forms a critical keystone of Oregon’s forest laws. 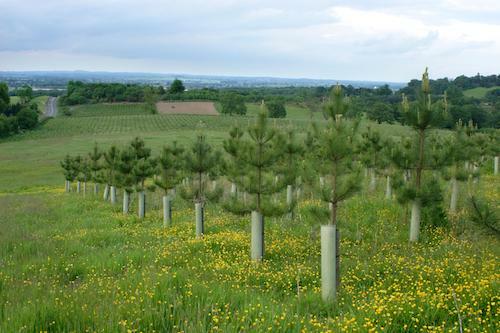 Are you planning a reforestation project? Here are six things you should know about reforesting in Oregon. Reforestation rules are monitored by the Oregon Department of Forestry (ODF) under the Oregon Forest Practices Act (FPA). They are responsible for reviewing pre-operation plans, ensuring reforestation rules are adhered to, investigating complaints, and managing corrective actions in case of violations. As per the rules, the responsibility of reforestation lies with the landowner and not the land clearing company. Landowners can reforest via natural or artificial seeding methods. The rules also outline the appropriate time limits for reforestation and operational procedures. If landowners are found not complying to the reforestation regulations, Oregon Department of Forestry can charge a penalty of $5,000. Before getting down to the reforestation procedures, identify your objective behind undertaking this project. Your reasons can range from commercial incentives—such as timber production—to ecological ones such as restoring biodiversity or a mix of both. Your goal will help you decide on the appropriate growing site. Give goal setting a careful thought because you need to ensure your objectives are in line with the growing site’s climatic and soil conditions. Site preparation refers to the preparation of land to make way for viable conditions such as fertile soils and moisture for trees to grow in. Preparation methods include mechanical, manual, and chemical. It is mandatory to consult the ODF office before using any mechanical equipment or chemicals to clear the land. As clearing the site for reforestation is quite a tedious process, it is best executed with the help of a land clearing company because any incorrect method might affect the land adversely. While Oregon has acres and acres of suitable land for trees to grow in, it is essential to analyze your site to understand the right kind of trees suited for it. Local soil survey maps found at the National Resource Conservation Service will guide you on your site’s soil conditions. Slopes will also affect your decision. For instance, steep south-facing slopes require more care after reforesting owing to their warm and dry conditions as opposed to north-facing slopes. Climatic conditions such as the amount of rainfall and temperature the site is exposed to is another important aspect to keep in mind, as trying to grow trees that are not suited to the climatic conditions will impact their growth. gon due to the adequate moisture, mid-March to mid-April is the ideal time to plant in eastern Oregon. Given the conditions, people in western Oregon generally rely on artificial methods of reforestation such as planting and landowners in eastern Oregon prefer seeding. To proceed with seeding, you will need to submit a pre-approved plan to ODF. You can consult the Forest Seedling Network to find the appropriate seedling for your site. If you choose to do planting, you can either do it yourself or hire a specialist to do it for you. Trees are a long-term investment. They need immense care right from the time the seeds are sown in the nursery till the time you bring it to your site and have them grow. Seedlings need to always be kept cool and away from direct sunlight. Another measure to take is to protect your newly planted seedlings from animals and pests by using physical barriers such as fencing and mesh tubing. Set a healthy foundation for your trees and be rest assured that they will be taken care of for the next 45 to 60 years. The Oregon Forest Practices Act requires harvested areas to be replanted and the trees to be evenly distributed and free from competing vegetation within six years. We at Mr. Tree are happy to assist you in your journey of reforestation. Whether you are looking to clear land or reinvest trees into your community, we are here to help.